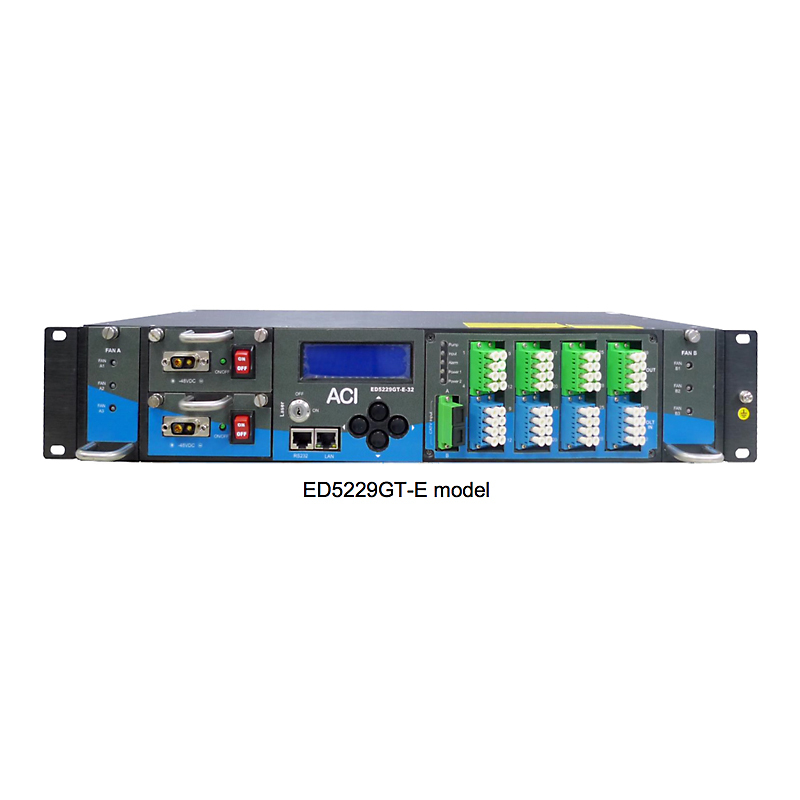 Rackmount Multiport Single Channel EDFA's. 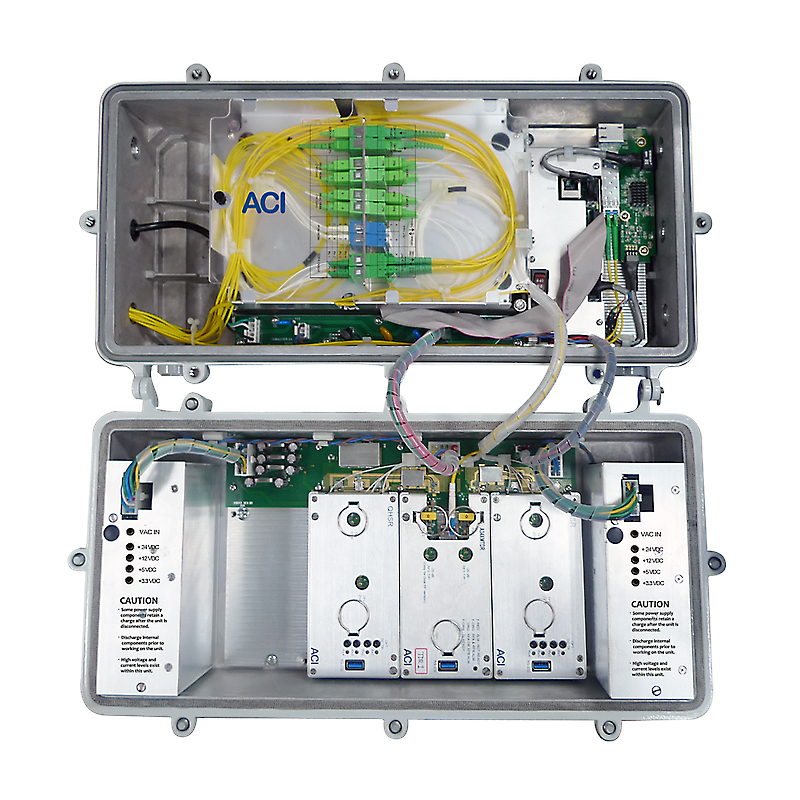 The ACI H5000 is an RFOG Indoor/Outdoor Mini Virtual Hub to provide an optical distribution point for downstream traffic and an aggregation point for upstream traffic, making it easy for cable operators to extend their fiber networks far beyond the traditional hub/headend infrastructure. 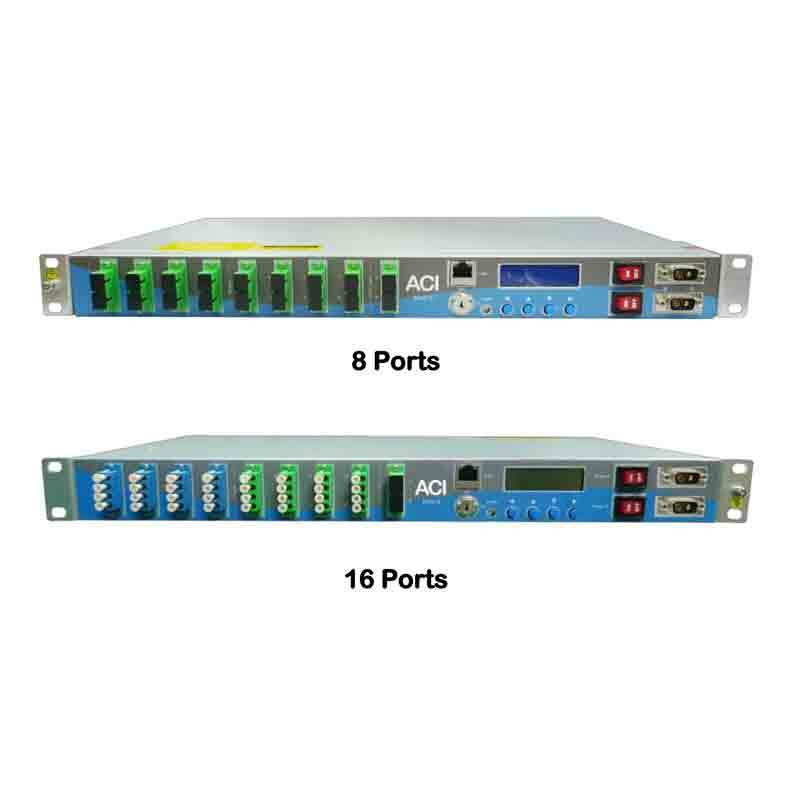 By using the ACI H5000, the operators can make the best use of their fiber to deliver improved high-speed internet, cable IPTV, and multi-screen services over their existing networks using RFoG technology. The H5000 also allows PON overlay. 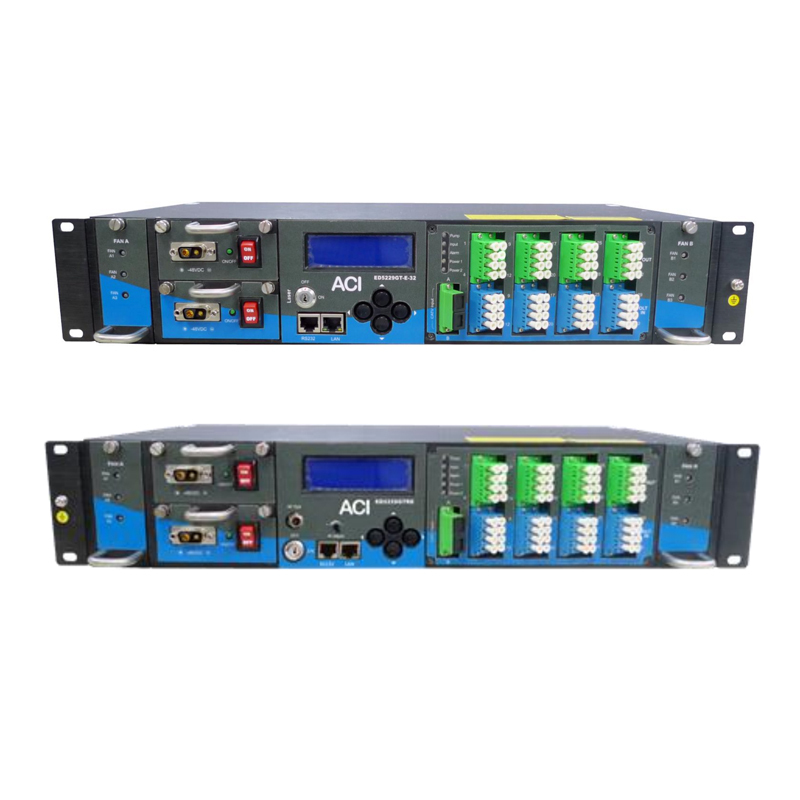 The ACION 8000 is a high density modular headend platform. The 3RU height main frame provides up to 16 slots that can accommodate the ACION 8000 series plug-in application and power supply modules. 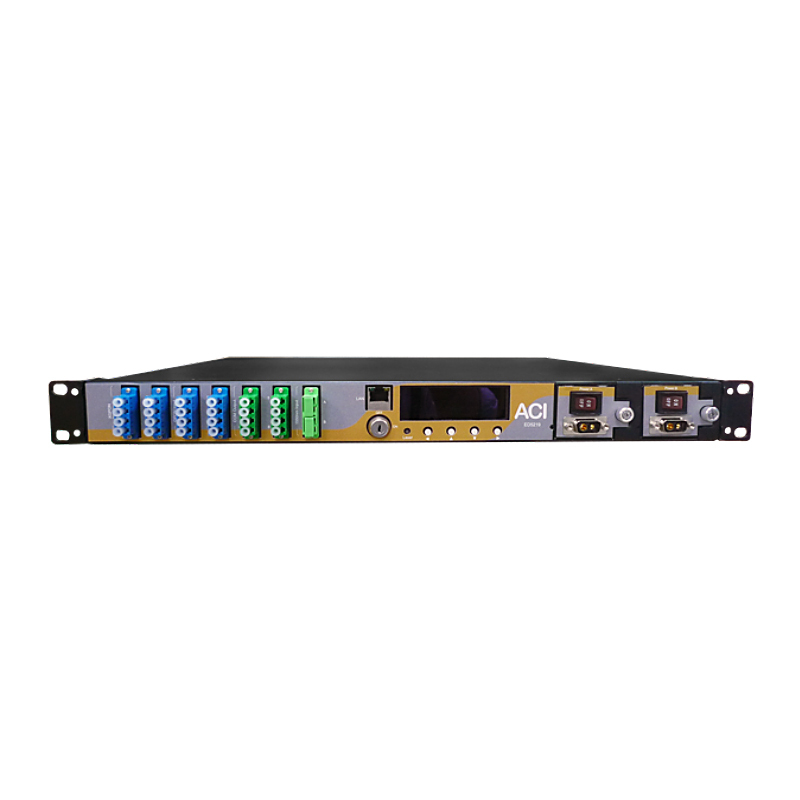 The A8KFT3HD high density transmitters have an advanced design that allows to 2 of the HD transmitter modules to work in one of the application slots in the 19-inch high-density chassis (A8KMF3). 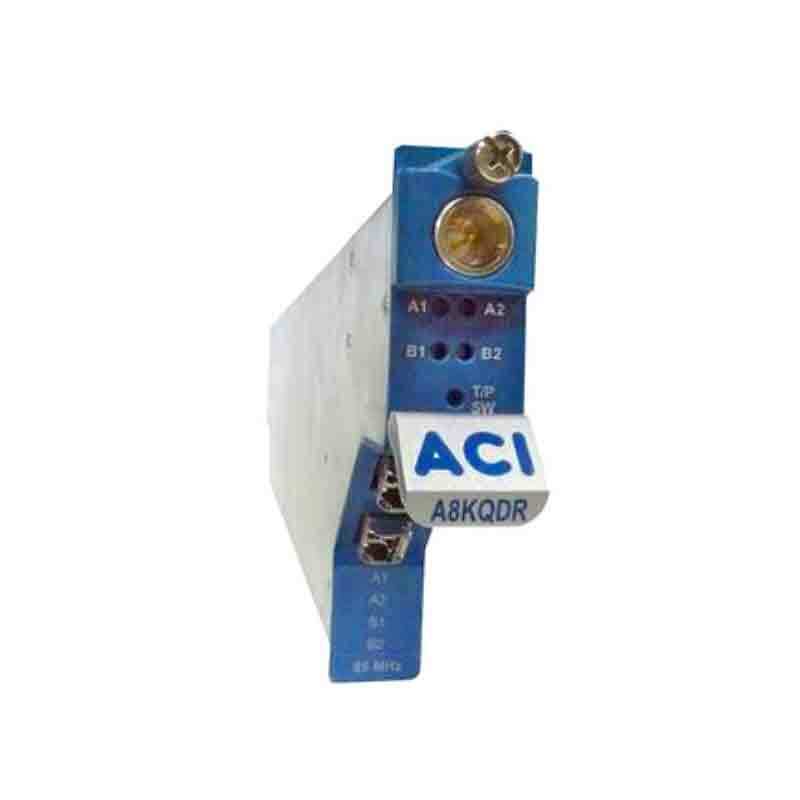 A8KQDR – Quad Digital Return Receiver is an integral part of the return path system applications. 3RU in height and up to 12 modules can reside in the 19-inc high-density chassis (A8KMF3). 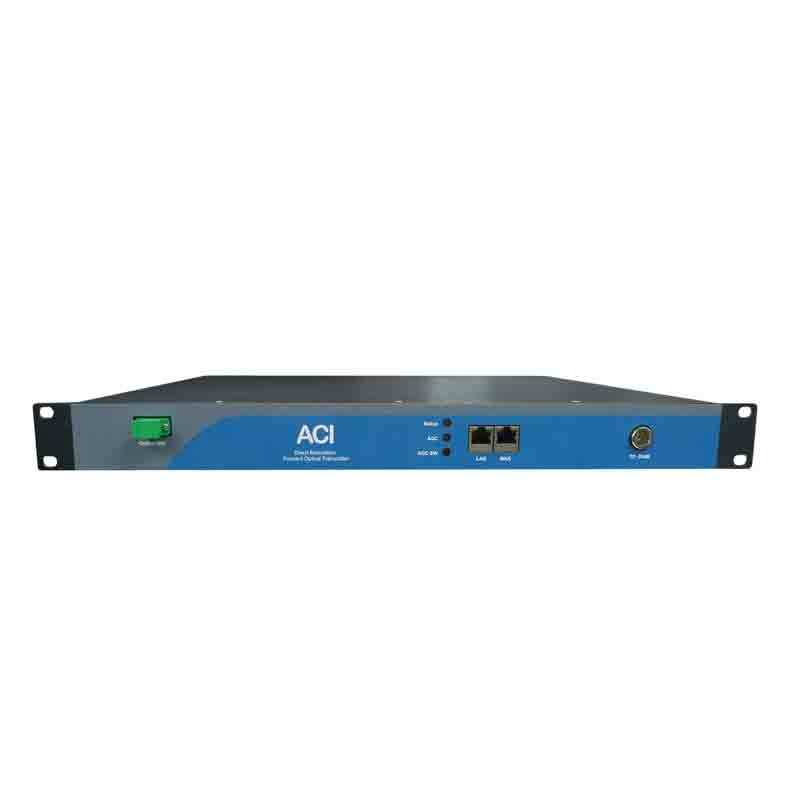 ACI's A8KQDR employs two hot pluggable Rx-SFPs at the receiver in the front and four RF outputs at the back that allows the bandwidth to be changed in the in the field from 5-45 MHz to 5-85 MHz operation. Furthermore, the A8KQDR, with advanced design and path segmentation can work with mixed bandwidths by accepting one 45 MHz Rx-SFP and one 85 MHz Rx-SFP. 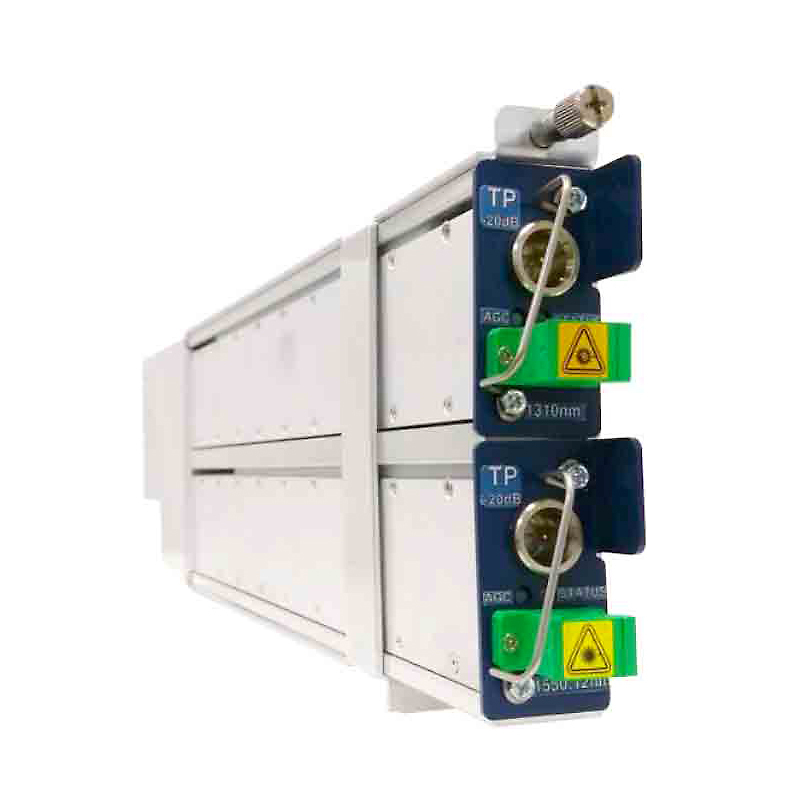 With the mixed BW Rx-SFPs, the A8KQDR can provide two 45 MHz outputs and two 85 MHz outputs. 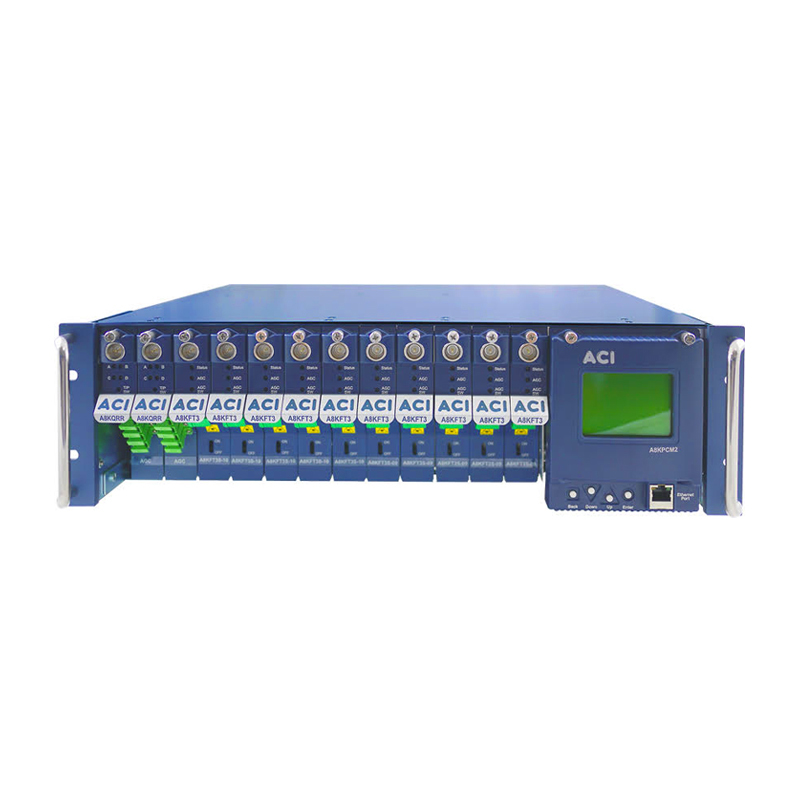 The ACION 8000 DT8130 series is a family of high performance headend 1.2 GHz forward optical direct modulation transmitter (Tx) for HFC or FTTH applications. 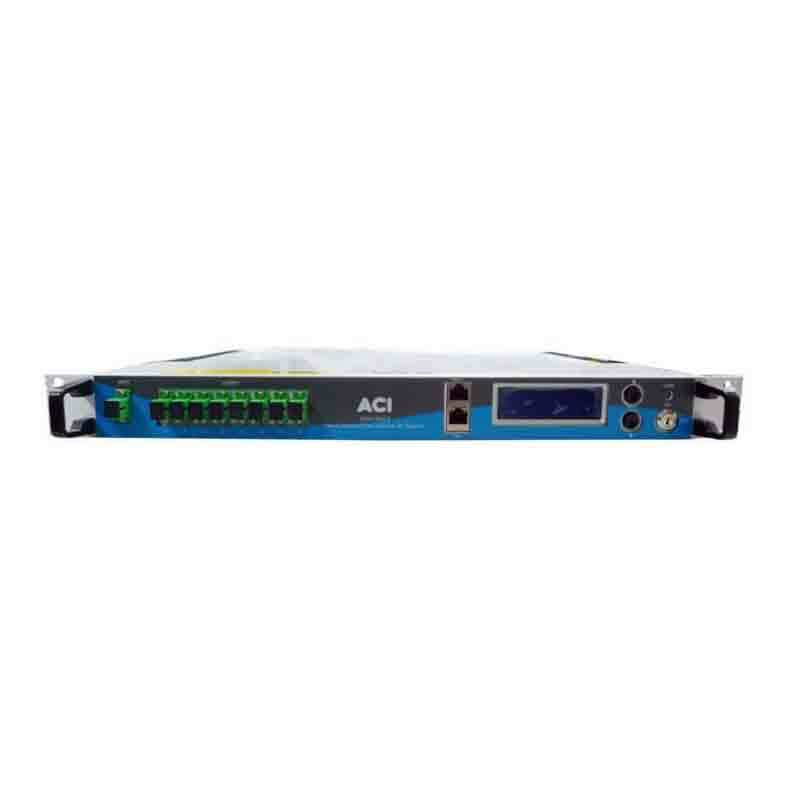 The DT8130 series Tx is a 1RU 19” standard chassis and is available in several configurations to meet various network requirements. The DT8130 series Tx is available with optical power options from 3 dBm to 15 dBm. 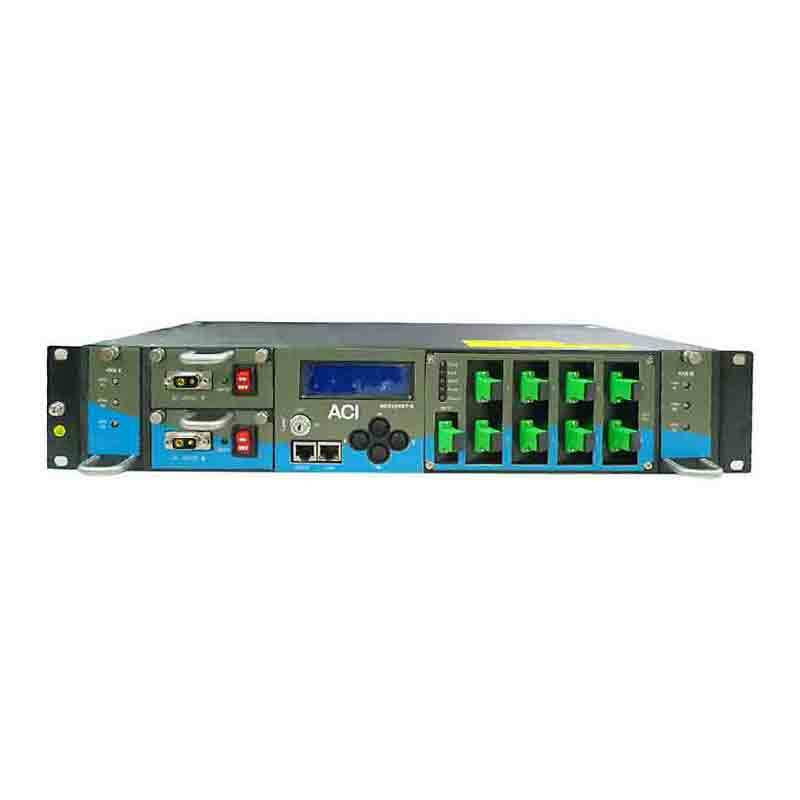 The DT8150 series forward Transmitter is a 1RU 19” standard chassis and is available in several wavelength options and configurations to meet various network requirements. The DT8150 series can transmit RF signals up to 30 km with fiber length setting in 1 km increment.